There are many mistakes that couples can make during the divorce process, especially when they decide to go it alone. This is why it is always recommended that you have an experienced attorney on your side through every step of the process. 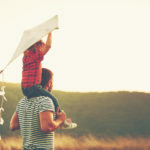 Perhaps you have fears of settling for too little, or making decisions that could end up negatively affecting your children during custody matters. You don’t want these mistakes to leave a lasting impact on your life, so we will share some of the most common legal mistakes that can be made so you can take steps to avoid them! Bad Process: Divorce doesn’t always have to be ugly and complicated, which means you aren’t just limited to taking matters in front of a judge. These days, we have mediation, negotiation, and collaborative law to fit your needs. And if that doesn’t work out, then you can always look to litigation to solve your matters. Wrong Attorney: You should always go to an attorney with experience in family law matters, who wants what is best for you. We are experts in family law and have been practicing and receiving results for families for years. Financial Complications: You need to understand that, during the divorce process, you will have to arrive at a conclusion on how much money you and your spouse have as well as debts that you owe. You can’t fairly solve your divorce matters without this information, so you have to figure out your finances on both ends. Wrong Approach to Custody: To go into a custody dispute, it is important to understand custody, from what legal custody means, to what visitation is. You and your spouse will have to come to many conclusions together, which means great communication. If you can’t communicate, this will add a layer of difficulty to your case. Negative Social Media: Social media is a public forum, which means that everybody can see what you say. This means that your posts can be used against you, so stop using social media if you are using it to badmouth your ex during divorce. This could make you look negative during divorce proceedings. Tax Implications: You could suffer tax consequences from your divorce, such as when you sell property or when you receive spousal support. You need to have help in understanding what you will pay for taxes before it’s too late. 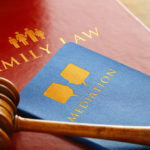 Misunderstanding Documents: Another reason why you should have an experienced family law attorney on your side is because you never want to sign a document without reading or understanding it, especially when divorce is involved. It is our job to help you understand every part of the process, so call us today. We will help you with your case.